Or to be more exact, there’s theobromine in that $12 tube of toothpaste. 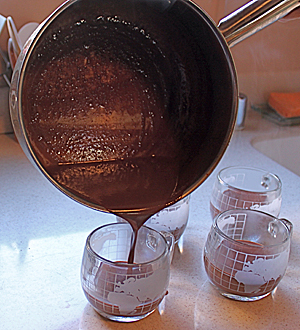 Theobromine occurs naturally in cacao; it gives chocolate its bitter taste. More importantly, it’s been found to offer a lot of health benefits, one of which is that it’s better than fluoride in healing tooth enamel, according to a recent study. Add to that the important fact that it is not toxic like fluoride, and it looks like it might be time to replace your regular toothpaste with toothpaste made from chocolate. Theodent fluoride-free toothpaste with Rennou (that’s their branded theobromine extract) is available through their website or at Whole Foods Stores nationwide. That’s where we found ours. 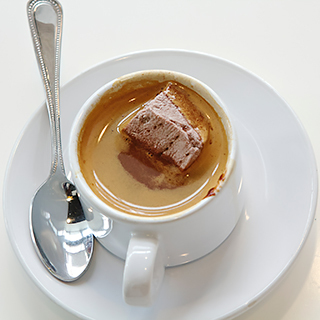 Unfortunately, while cacao is used in the making of Theodent, it doesn’t taste like chocolate — instead it’s got a typically minty toothpaste taste (with a little bit of a floral perfume, almost soapy undertone). 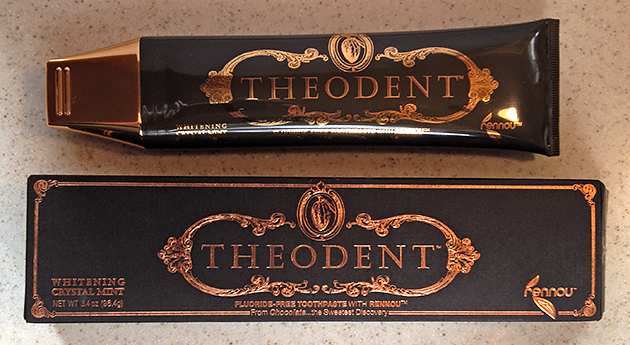 Theodent also comes in a higher-strength version ($100 a tube), only available through dentists or their website, and a version aimed at kids that is chocolate flavored. We didn’t find the kids’ version at our Whole Foods, but if anyone has tried it, I’d love to hear a report. It seems like an awesome idea to me: Instead of worrying about your kids accidentally ingesting toxic fluoride when doing what they are supposed to, you might have to worry about them sneaking into the bathroom and eating all the expensive toothpaste in the house. So pretty, you will want to leave this toothpaste tube on the sink. Besides coming in the prettiest tube I’ve ever seen toothpaste in, Theodent has another unique aspect: It’s the only toothpaste I know of that recommends the tooth brushing version of shampooing: brush your teeth once with Theodent to remove food particles, rinse, then brush with Theodent again for the whitening/enamel hardening effects. 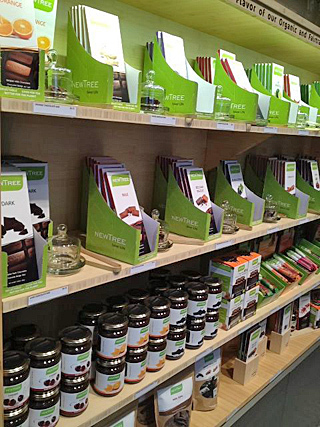 If you’re looking for a nice, unusual chocolate-themed gift this year for anyone on your list, Theodent might be just the thing. Date posted: December 9, 2013. This entry was posted in News, Review, Vitamin Ch and tagged gifts, health, theobromine, Theodent, toothpaste, Whole Foods. Bookmark the permalink. Would you like some corn with that chocolate? Disclaimer needs to be posted. The authors of that study are the owners of Theodent. I was unable to find any other research that was independent of the company. The study was sponsored by Theodent. This is a glaring conflict of interest.